For every manufacturer exporting medical technology and devices to the European community, CE marking is a fact of life. CE mark requirements apply to your product documentation, particularly with IFUs (Instructions for Use), labeling, and other documentation that affects the use of your products. Specific CE mark Medical Device Directives require that various documents and information must be supplied in the national languages of the users for a wide range of medical devices and products. Without compliant, accurate CE mark translation, manufacturers can face regulatory hurdles and civil and criminal liability in these markets. At International Language Services, a leading translation services provider with a focus on medical technology and device translations, our familiarity with documentation to meet CE mark requirements makes us an ideal partner in satisfying your multi-language needs for the European community. Experienced product managers oversee all work. Each of our product managers has extensive experience managing translations of medical device and related technology documentation. With a working knowledge of regulatory and CE mark documentation requirements, they work with you through every step of the CE mark translation process to meet the strictest standards for accuracy and completeness of your translations. You can focus on other aspects of your product roll-out plans. Our specialized translation team ensures accuracy. For every medical device and related translation, in all CE mark languages, translators who are native speakers of the target language perform and review the translation. Each also has specific professional experience directly related to the medical device industry and is qualified under the terms of our ISO 9001:2015-certified quality control process. They will work diligently to translate even your industry-specific terminology correctly. For each language, the translator’s work is proofed by a second equally qualified—and equally meticulous—translator. You are ensured of accurate, consistent translations for every project. We provide single-source services for your multi-language translation needs. As a full-service translation company for medical device manufacturers, ILS offers accurate, professional translations for all languages in the EU. If you market products in multiple CE mark countries, significant efficiencies may be realized by combining multiple language translations into a single turnkey project. With a single project manager as your point of contact, ILS will engage fully qualified translators for each language and translate your files into each language simultaneously. The result is completed documentation for all languages in a coordinated effort, simplifying your marketing and export plans. We offer CE mark compliance without stress.  For the documentation of your medical devices, International Language Services offers proven accuracy, ISO-certified quality control processes, and extensive experience translating documents to meet CE mark requirements. When you trust your translation projects to us, you can rest assured that the resulting documents will be accurate and consistent across all languages. We can provide you with a certificate of translation at the conclusion of your project to file along with your own quality compliance documents. Our proven track record and dedication to quality performance frees you to focus on other issues. Through our experience, ISO 9001:2015-certified quality control process, and our use of native-speaking, professional medical device translators, ILS takes the worry out of translations for CE mark countries. From the beginning of every project, our seasoned medical device project managers and our entire team dedicate themselves to producing impeccably accurate translations in any of the 180 languages we offer. Our pricing is competitive, but our quality is superlative.